- Card to Emboss – read through instructions to see the final look of the card before you cut. Line up your cardstock and the embossing folder to emboss the inner most line. Run through the Big Shot. I found it was better on the base of the multi purpose platform with no tabs. 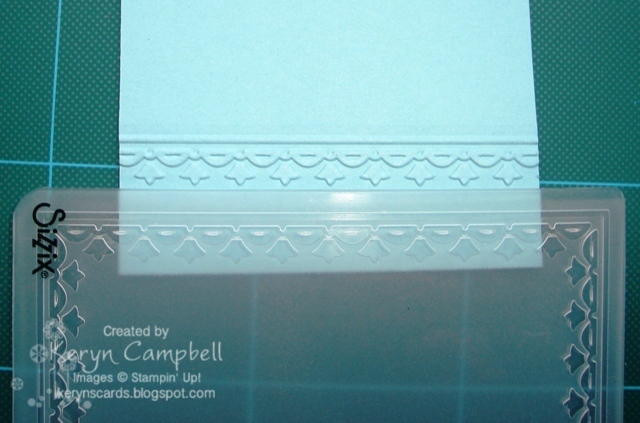 Line up the edge of the embossing folder along the edge of the embossed line and run through the Big Shot again. 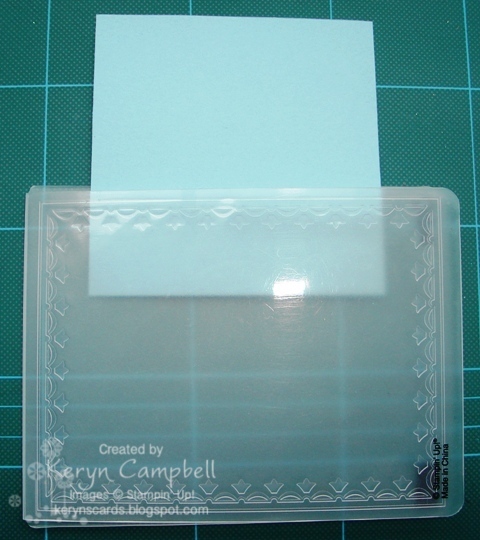 Add to your card and decorate as desired. 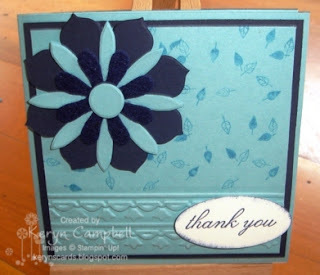 Paper: - Baja Breeze, Marina Mist & Whisper White Cardstock, Navy coloured felt.